By buying this product you can collect up to 646 points. Your cart will total 646 points that can be converted into a voucher of £6.46. MORE LORD OF THE RINGS STATUES AND FIGURES. #534Released 2018Excl. to Toys R Us/Barnes &amp; Noble From Funko's popular 'POP!' series comes this vinyl figure. Each figure stands approx. 9 cm tall and comes in a window box packaging. From the Lord of the Rings film series comes this 1/10th scale statue of Gandalf! The Polystone statue stands approx. 23 cm tall and comes with matching base. Orgrim the betrayer is a fearsome Orc Warrior and the most trusted ally of the rebel Orc Leader, Durotan.He is torn bewteen duty to his chieftain and loyalty to the Horde. 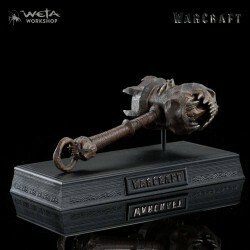 Orgrim wields the Doomhammer, a mighty weapon that strikes fear into the heart of even the most steadfast of Alliance foot soldiers. Foot soldiers are the driving force behind the Alliance, a peacekeeping regal society united to protect their way of life.The lion, sigil of the Alliance, is prominent on a belt that clinches a suit of shining chainmail. On the helm, plumage in royal blue, the colour of the Alliance. 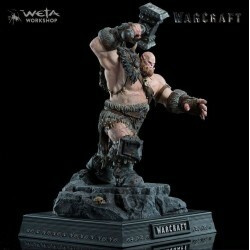 Blackhand is a fearsome Orc leader and War Chief of the Horde.. His mighty hammer in notorious throughout Azeroth. So much so that it has been bestowed the vivid title, ´Skullbreaker´. 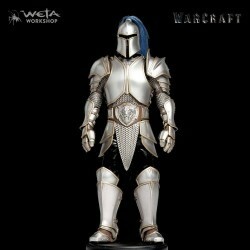 Introducing MINI EPICS by Weta Workshop: the endlessly collectible new line of stylised vinyl figures! Created by the same artists who work on their film projects.It stands approx. 14 cm tall and comes in a printed box.